Cast film extrusion is a continuous operation of melting one or more polymers through a slot die to form a thin film that will be conveyed to successive rollers with different functions such us cooling, film finishing, etc., and finally wound onto a roll. Comparing with blown film, cast films perform better for thermoforming applications. Typical film thickness ranges are between 20-400 μm and width of 400-3,000 mm. The INZEA® range of biopolymers offers grades specifically designed for the extrusion of cast films. 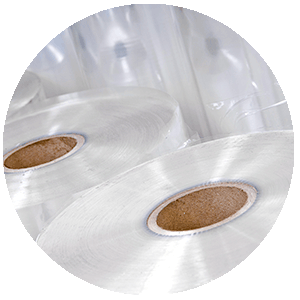 Our products can be processed in conventional PE and PP extrusion lines, obtaining similar properties for compostable packaging, multilayer containers and many other applications that demand sustainable solutions. Conventional materials, such as PE, PP or PS, have traditionally been used by the industry to produce containers and other plastic films that are obtained from fossil resources that, in many cases, due to multimaterial mixtures, can not be easily recycled. When using the INZEA biopolymers, plastic waste can be valued as compost. 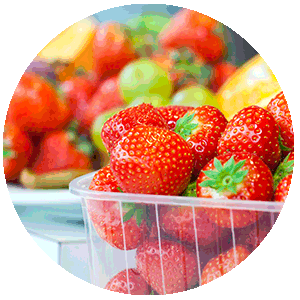 According to EU regulation EN13432 cast films produced with our INZEA biopolymers are 100% compostable and can be accredited with OK Compost cerification. 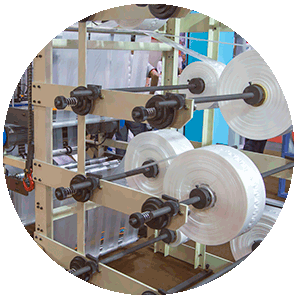 Thermoforming is a process widely used in the rigid packaging and containers manufacturing. Conventional polymers such us PET, PP, can now be replaced by INZEA, a sustainable alternative that provides the same technical properties. When processing INZEA grades for Cast Extrusion, a processing melt temperature of 150ºC and a casting temperature of 30ºC should be applied.